For my Sweet Stamps project this week, I continued on my mission to find ways to use up some of my Designer Paper. On this card, I punched 1" circles and layered them on the background. I added the snowman which is colored with Copics and highlighted with Sakura Jelly Roll pen. The snowflake is Globecraft and Piccolo using Siam Silver Enamel EP. I finished off using my DP paper strips by making an 'extra' card creating a Herringbone pattern. We had a little dusting ~ 2 inches of snow here and we are expecting more tomorrow and Friday- to total about 10 inches. I bet we will be seeing some new snowmen pop up around the neighborhood. I had a little free time and decided to make a few more CAS cards for a couple of challenges. I have a ton of DP and decided to take out some Bo Bunny wintery papers and make a few more cards for my Aunt- she is turning 90 next month. The stamps are old, old SU and the color is very washed out- I colored with Copics and added Sakura Gelly Roll pen. The sentiment is Sweet Stamps. The challenges I want to link to are the CAS Sunday challenge at the Outlawz. I used retired images which I have not used in....many years to join in to Vicki's Flashback Friday challenge. I had more time to stamp for leisure and decided to try a CAS card today. I spent a little time coloring for the Outlawz Progressive Digi challenge this month, the image is from Sandisamples. I found a Sketch @ Sketch Saturday, and a challenge to use Burlap at Just Us Girls. I just got a new Wink of Stella 025 and just painted that on Burlap that I had painted white a while ago. I added more of the Wink of Stella to the heart on the watering can. I used some old white spooled trim that I added top to bottom. 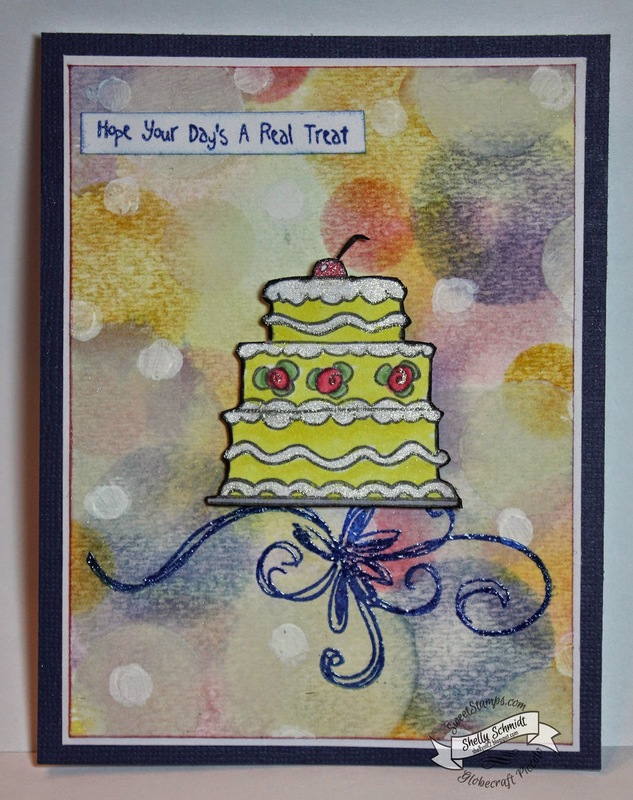 The challenge at Sweet Stamps for this week is Happy Birthday. I have been seeing cards using this Bokeh technique, and you know me- I had to try it! 2)Apply Distress inks to craft mat. I used Spun Sugar, Wild Honey, Tumbled Glass, Shabby Shutters and Dusty Concord. 3) Using a Paint brush or waterbrush, apply the colors to your paper in a random pattern. I applied the colors lightest to darkest. Dab with paper towel if the paper is too wet or if puddles form- so the colors do not get muddy. 4)Allow watercolor paper to dry- or use a heat gun to dry it. 5)Punch out a stencil using paper punches or dies- I used cardstock for my circles. 6)Using the lightest, mid color and darkest color, sponge on circles of color-again lightest to darkest- try to overlap the colors a touch. 7) Tap on white ink thru the stencil. I started with the largest circles and used lighter white on the largest circles and got darker with the white as the circles got smaller. I used watered down Gesso for the smallest circles. * A tip I learned from Michelle Zindorf- to emboss using a color- stamp the color ink onto your stamp, then ink with clear embossing ink. Stamp onto cardstock, add embossing powder, then Viola- I also make sure I check the dauber before I re-ink into my white pad, so I do not 'dirty' it up. Just swipe it on a paper towel and you will avoid adding ink to your white from the dauber. 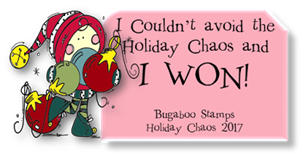 Our winners are chosen by Random.org- and if you use a Sweet Stamps image, your entry will count x's 2! The challenge at Tuesday Throwdown this week is to Use Metal. Our Sponsor for this week is Sassy Studios. Oh my, I got out some really old stash- remember when we used to put all of out sentiments in these metal frames? I also added a spiral clip for the ribbon, another blast from the past! The image is colored with Copics. I added Sakura Gelly Roll Pen Stardust over the top layer. 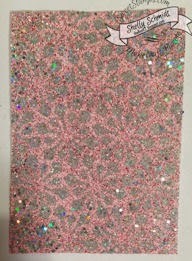 I added a Sweet Stamps bookboard star (Globecraft Piccolo) embossed with Silver enamel EP, then added random dots of silver EP around the star after dotting the paper with a Versamark pen. The DP is retired SU. 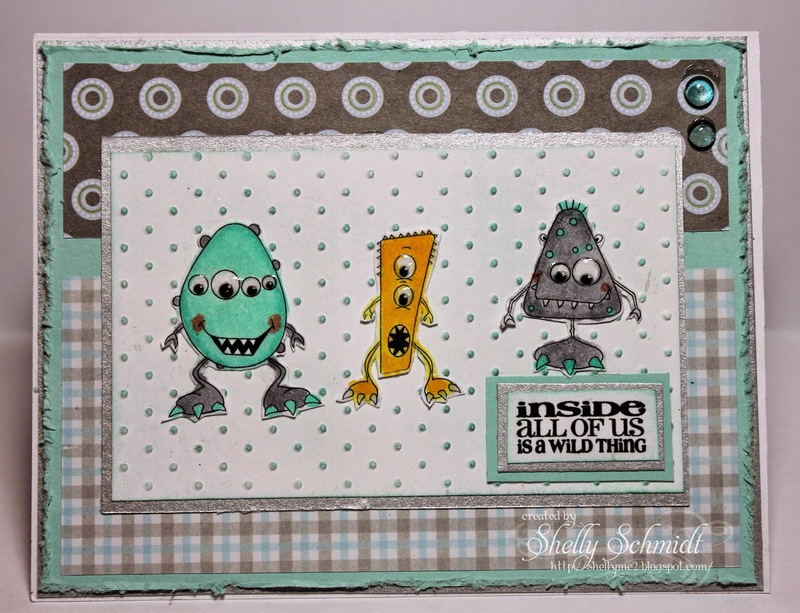 The frame die is Memory Box and is from Sweet Stamps- called Stitched Layers. 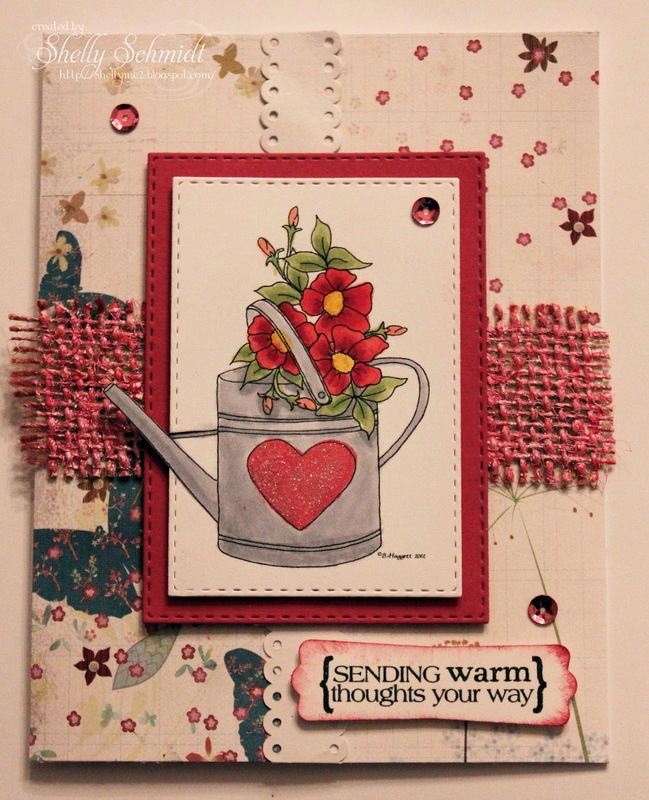 Stop by the TT Blog to see the fabulous inspiration by my Tuesday Throwdown Teammates. I am trying to catch up on posting and commenting : ) I wanted to post the ATC swap from Jan. with the ATC group. It is such a diverse and talented group! Our theme in January was Drips,Splatters and Splashes. The background is called Simple Sumi. 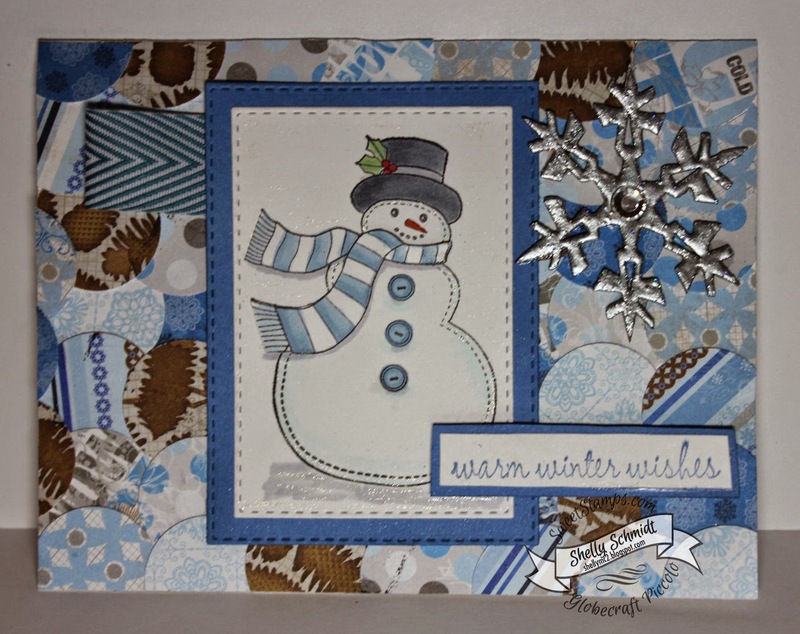 The image is a digi from Ginny Maxam from the Christian Cardmaker Facebook Group. 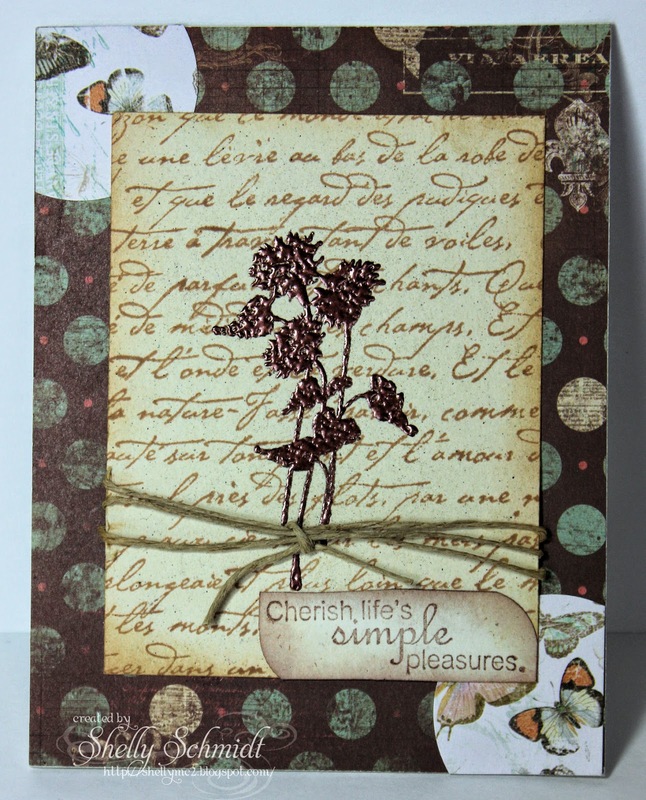 The sentiment is from Technique Junkies, the die is a Cheery Lynn Designs image. I used Copic reinkers for some of the ATC's- they are lighter in color which is more pleasing to me. Happy Thursday! I had the good fortune of meeting Stacey at the Tampa Stamp Fest this weekend, and was able to see her demo a sparkly technique- so just HAD to give it a go! 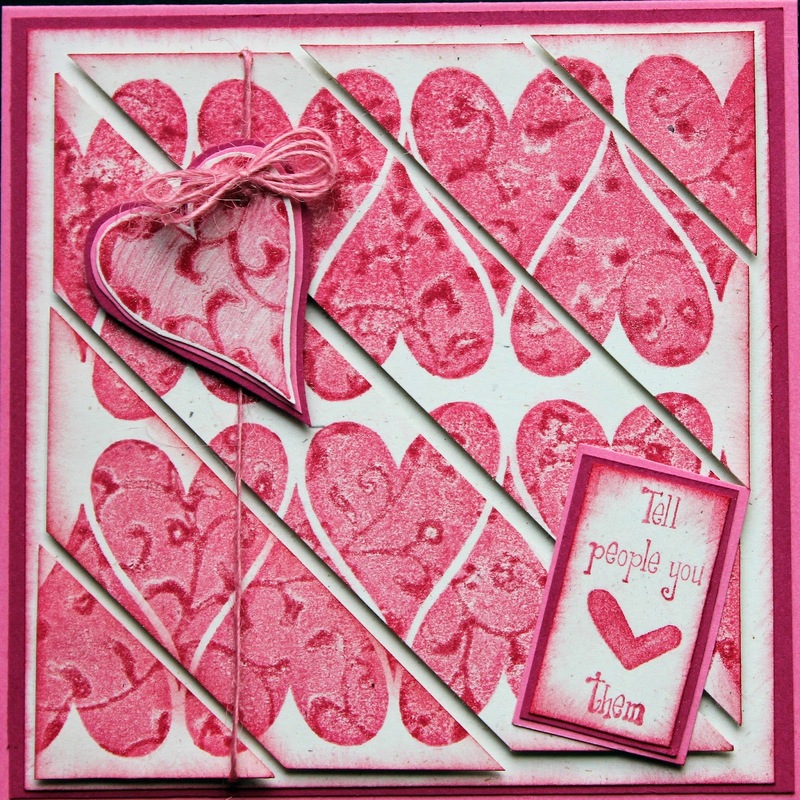 I also stayed with the Sweet Stamps Pink/White plus one other color challenge for the Heart ATC. Sparkalicious! I want to show you how this effect was achieved. I used the Anti-static on my work surface. Apply the sticky tape to your ATC surface. I also used the Anti-static on the ATC stencil, then place it over the sticky side of the ATC. 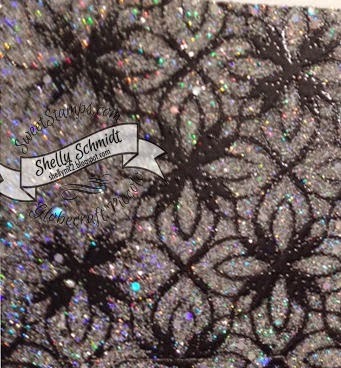 Pour the Glitter over the top of the stencil, and use your finger to burnish it to the surface. This is what you will see when you remove the stencil. Now, the white is sticky still, so apply glitter, Sugar beads or embossing powder to the surface and burnish that in as well. This background uses Cranberry wine Enamel EP, which I did add heat to, but you do not have to add heat. This one has black EP and no heat. On this one, I did add heat to melt the black EP- so it gives a shiny look to the EP. 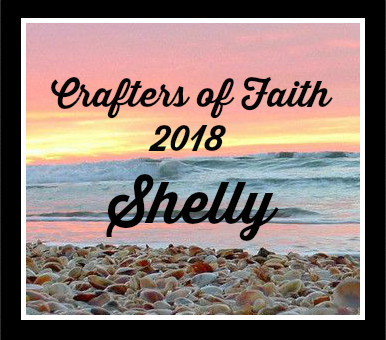 Shelly Thanks for stopping by! 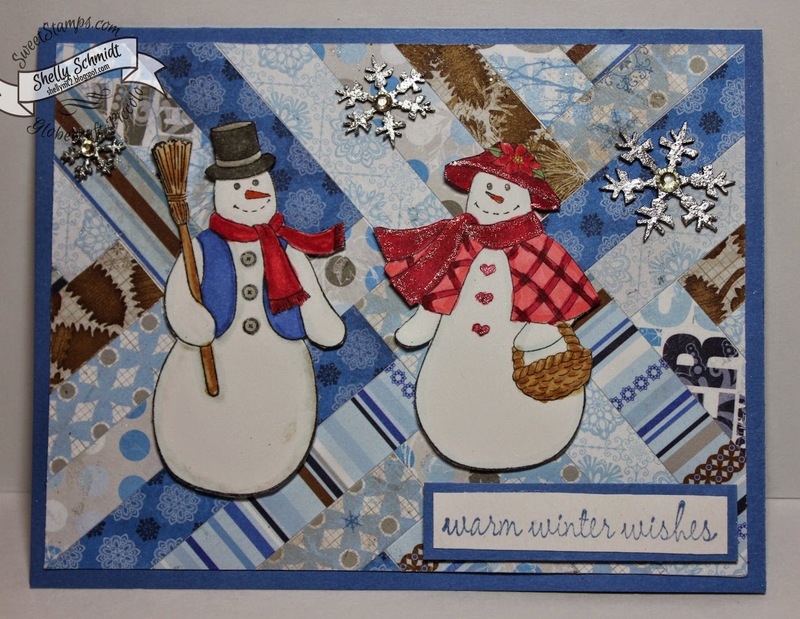 I have been away- heading back tomorrow to the cold and snow : ) I wanted to post a fun card made with the 'kissing technique' which is an older technique, and I also used the Diagonal Popped Strips from the last Technique Junkies newsletter. The heart image and the background it was kissed with are both from Technique Junkies/formerly Stamp Camp, as well as the sentiment. 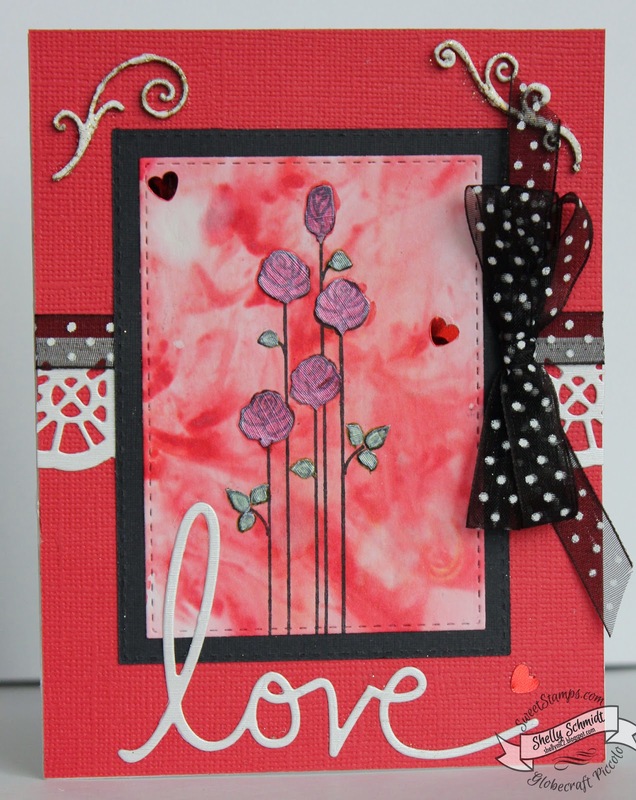 The challenge at Sweet Stamps for this week is 'Love is in the Air'. I had fun with a Shaving Cream background and the Roses from the Live, Laugh, Love Roses set. I stamped the Roses a 2nd time on Specialty paper called Silver Lustre (Paper Temptress) and colored them with Distress Markers). I added some Globecraft and Piccolo accents embossed in Aged White. 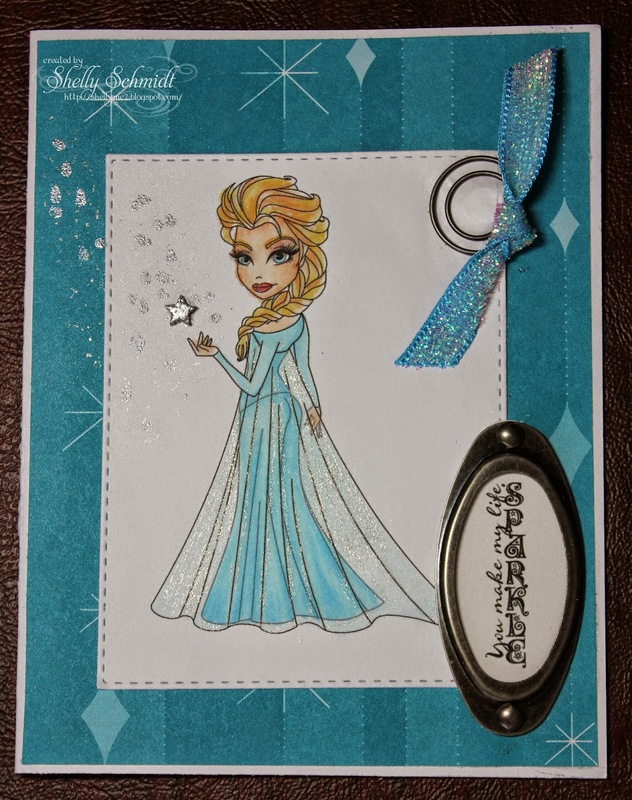 The die cuts were also cut using the Silver Lustre shimmery cardstock. 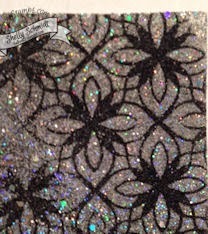 And, I had a few heart sequins on my desk, so they also scored a place on my card. The Tuesday Throwdown challenge this week is 'Monster Mash'. 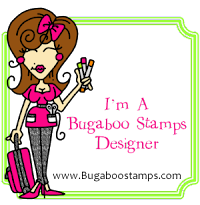 Our Sponsor is My Grafico who supplied us with a fun digi set called Monster Stamps. I used the same colors, different look. My hubby thought I needed more color, so I added the yellow to the BG circles. The images were colored with Copics. 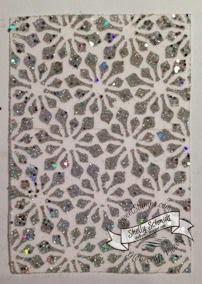 The cardstock is Pool Party, White and Metallic Silver.The sentiments on both of the cards are from Create with TLC. 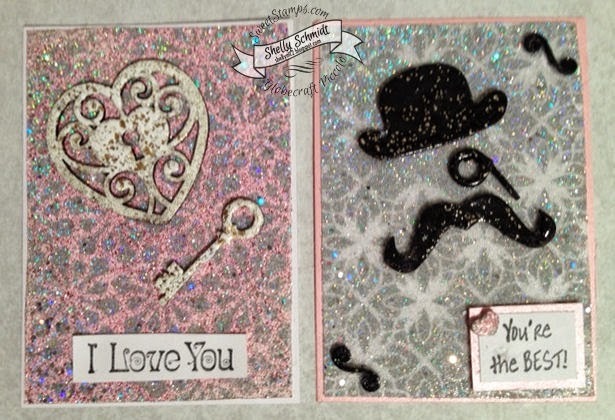 Stop at the Tuesday Throwdown Blog HERE to see the great cards the other DT members created, and to join in the fun with us!